Turning leaves, colder weather, and the fast-approaching holidays all mean that fall is well and truly here. Two great things about fall is that a) it’s now appropriate to make all your favorite stick-to-your-ribs fall recipes and b) you don’t even need to leave your building to do it thanks to the in-building Harris Teeter grocery store here at West Broad. If you need a pinch of inspiration for your fall recipes, we have you covered with these 5 fall recipes to make in your West Broad Kitchen. Nothing beats a big, bold, and hearty bowl of soup when the weather starts to turn cold. Especially when it uses delicious in-season ingredients, such as pumpkin, chiles, and apples. This Pumpkin Soup with Ancho and Apple (from the New York Times) is just that. This recipe is inspired by Mexico but doesn’t use any ingredients that you won’t be able to find downstairs at Harris Teeter (you can even use that canned pumpkin you have laying around!). To Italians, a well-braised beef ragu is the ultimate comfort food. This Braised Beef Ragu with Gemelli takes a few hours to cook in the oven, but is totally worth it, especially because it will make your West Broad apartment smell amazing. Plus, pairing the ragu with gemelli lets the hearty, meaty, and delicious ragu get into all the little nooks and crannies of the pasta, giving you an explosion of flavor in each bite. What could be more comforting? Full of European flair, this dish will both transport you across the Atlantic and give you all the warm fall comfort that a great fall dish should provide. The combination of chicken, red wine, mushroom, and basil in this Chicken Pinot Noir with Wild Mushrooms and Fresh Basil dish is complex, well-balanced, hearty, and not too difficult to make on a weeknight. Pair it with some mashed potatoes and a green vegetable for a perfect fall dinner. We all know and love macaroni and cheese. But this Apple and Sausage Macaroni and Cheese from Saveur takes everything you love about mac and cheese, puts a fall spin on it, and kicks it up a notch. This macaroni and cheese doubles up on fall flavors by using both fresh apples and apple cider. Plus, the sausage gives this recipe a heartiness that is sure to warm you up when it’s cold outside. 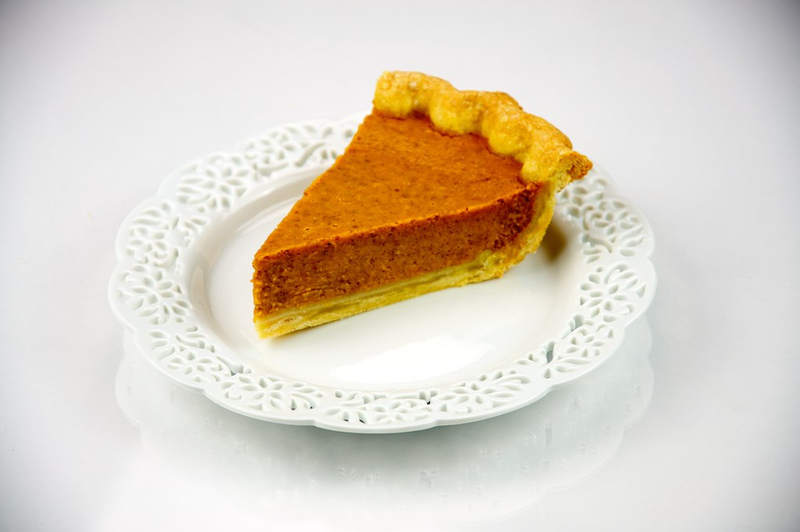 Last, but certainly not least, is our favorite recipe for a classic pumpkin pie like your grandma used to make. This Grandma’s Pumpkin Pie recipe from Bon Appétit uses maple syrup instead of sugar to create an unforgettable pumpkin pie that you’ll want to make over and over again throughout the fall. If you’re feeling a little extra wild, you can even spike the whipped cream with a little bourbon (trust us: it really works). The best thing about all of these 5 delicious fall recipes is that you don’t even need to leave your building to make them if you are a West Broad resident. With a Harris Teeter grocery store in our building, you don’t need to brave the cold to create tasty fall dishes in your gourmet West Broad kitchen. Contact us today to take a tour.